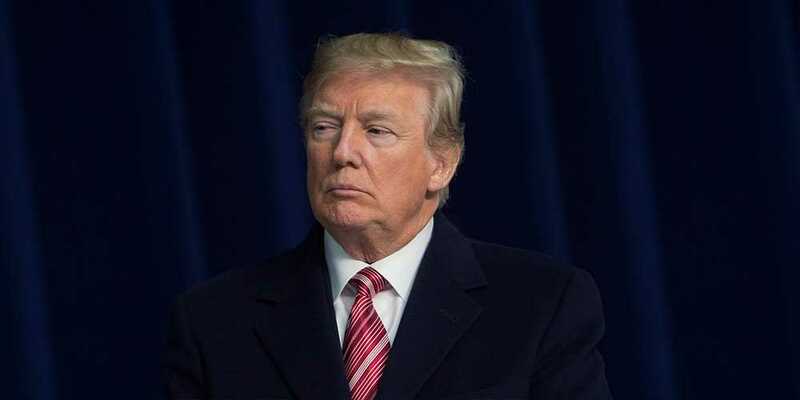 U.S. President Donald Trump appears to be inching closer to imposing a national emergency that would empower him to build a wall along the US-Mexico border to prevent flow of illegal immigrants into the country. Mr. Trump had on Wednesday said that imposing a national emergency is the last option and threatened to use it if the Democrats did not allocate $5.7 billion funding for his controversial US-Mexico border wall plan. The President’s inclination towards declaring a national emergency has gained momentum after he walked out of a meeting with top Democratic leaders, House Speaker Nancy Pelosi and Senate Minority Leader Senator Chuck Schumer, on Wednesday following their refusal to allocate a whopping $5.7 billion funding for the border wall plan. Contending strongly for construction of a barrier, concrete or steel, along the southern border with Mexico, the president has been claiming that illegal immigrants cause $250 billion drain on the American economy. “We can declare a national emergency. We shouldn’t have to because this this is just common sense,” Mr. Trump said. “This shouldn’t be happening. And what you see of the border, that’s not as much of a problem as they [illegal immigrants] come through the border and they go out throughout our nation,” Mr. Trump said. But the Democrats appeared to be unconvinced by Mr. Trump’s argument of national emergency. “If and when the President does that, you’ll find out how we will react, but I’m not going to that place now. But I think the President will have problems on his own side of the aisle for exploiting the situation in a way that enhances his power. But not to go there. Let’s see what he does,” Ms. Pelosi told reporters at the Capitol Hill. Democratic Congresswoman Grace Meng from New York on Thursday announced to introduce a legislation in the House of Representatives on Friday to prevent Mr. Trump from using a national emergency declaration to fund a wall along the southern border. Mr. Trump said he is ready for the lawsuit and asserted that he will win it. “I am prepared for anything. The lawyers tell me, like, 100 per cent,” he told reporters.